Welcome, Tomato Pie Fans! I’m taking a hiatus from blogging to finish the sequel to DON’T YOU FORGET ABOUT ME. Meanwhile, I have a series of guest bloggers taking care of the place. Let’s meet today’s guest, Neil Combs. Why Write A Body in Prayer? Prayer. What is it, really? Am I doing it right? Am I doing it enough? Do I pray with just my words, or can I pray through my actions? These were just some of the questions I was asking about 5 or 6 years ago. I was still a fairly new Catholic and I was struggling with prayer. I recalled the verses in the Bible that said “…pray always…” (Luke 18:1) and “…pray continually…” (1 Thes 5:16) but I could barely find the time to say a morning and night prayer. I did a lot of soul-searching at that time, but more importantly, I did a lot of information searching; books–The Catechism of the Catholic Church, CDs, and Scripture–to find out what I could about prayer. What began as a personal quest for a better prayer life became something I never would have expected… a book. See, I wasn’t an author, I was just a pharmacist who had an idea and insights I wanted to share. I started by sharing it with a men’s group I belong to. They encouraged me to write it down, and a journal slowly became a book. As I shared more, I realized there were a lot more people like me who wanted a better prayer life but just didn’t know how to get there. A Body in Prayer first defines prayer, and then it helps to identify and break down the common barriers to prayer, like the ever popular “I just don’t have enough time to pray!” But then it talks about the many different ways we can pray. You see, I always thought of prayer as talking to God, but in reality, it is so much more. It’s a conversation between two people in a relationship, and if you think of your own relationships, you know much can be said without a word being spoken. My wife has always said “actions speak louder than words,” and the same is true in prayer, maybe even more so, because God sees all our actions! It was that realization, that by including Christ in all the daily activities of life, I could pray more and pray better. I could use my whole body to pray, by focusing everything I did (work, fasting, or appreciating a sunset) on God. Suddenly my actions could say more than my occasional words of prayer ever did. 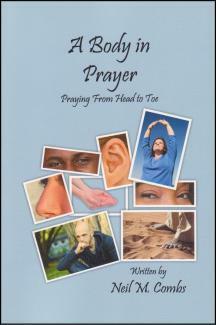 A Body in Prayer challenges readers’ perception of prayer, yet is written in a light, conversational style. It uses ten chapters based on body parts – hands, eyes, mouth, even stomach – to give simple, real life examples of how we can use our bodies, and our actions, to pray and truly become A Body in Prayer! 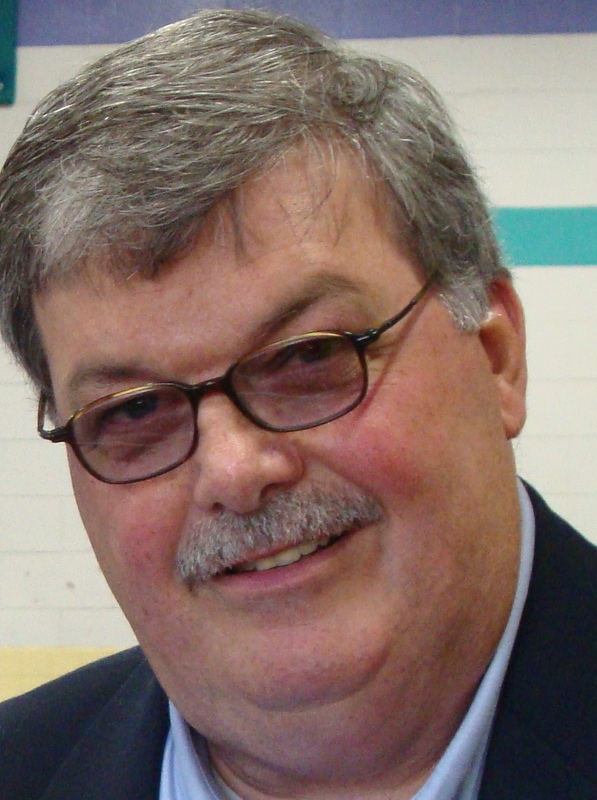 Neil Combs grew up as a Lutheran, but was confirmed into the Catholic faith, along with his children, in 2004. A Pharmacist by profession, he was drawn to working with youth, and has been involved in the Youth Ministry program at St Le’s church in Hilton, NY, where he lives with his wife, Mary. He is also an active member of the Knights of Columbus. Learn more about A Body in Prayer on Facebook. Welcome, Tomato Pie Fans! I’m taking a hiatus from blogging to finish the sequel to DON’T YOU FORGET ABOUT ME. Meanwhile, I have a series of guest bloggers taking care of the place. Let’s meet today’s guest, Mr. Michael Seagriff, OP! What Is Impossible For One Man to Accomplish By Himself Becomes Entirely Possible With Your Help! YOU HAVE GOT TO DO SOMETHING VITALLY IMPORTANT! At the end of this post, I am going to ask you to help get the poignant reflection of Father Mark set forth below into the hands of every Bishop and priest in this country. We can do it! But first I want to share a few thoughts that have long been embedded in my heart. That which is most essential for our sanctification and salvation is that which we most frequently ignore – The Eucharist. The late Apostle of the Eucharist, Father John Hardon, S.J., realized “that everything, everything, EVERTHING of our faith (indeed the virtue of faith itself) depends on our faith in God being really present with us today in both His human and Divine nature, united in His Divine Person in the Holy Eucharist”. The time for mincing words is over. Current polls, as well as what we observe with our own eyes, make it clear that a majority (an overwhelming majority of those identifying themselves as Catholic, perhaps as much as 80 percent, including 80 percent of those few Catholics who bother attending Sunday Mass) no longer believe that our Lord is really, truly and substantially present Body, Blood, Soul and Divinity in the Blessed Sacrament. The sad but truthful reality is that in far too many of our churches we have lost the sense of the sacred and an appreciation for the Holy Sacrifice of the Mass that are essential for fostering and maintaining a belief in the Real Presence. We do not need any more study groups or committees or commissions in the Catholic Church. All lukewarmness toward or outright opposition to the promotion of Eucharistic adoration and spirituality must cease. We need Bishops, priests religious and laypeople to get on their knees before their Eucharistic Lord. It is He, not any of them, Who will gift us with a deep, abiding, life-changing, sanctifying belief in His Real Human and Divine Presence here among us. Everything else we need or think we need individually or as Church will flow from Him. Any notion that the answer to solving the myriad social and financial ills of our nation and world rests on political activity, social justice programs and governmental largesse must be jettisoned. The long-standing pattern of many Church leaders remaining deafeningly silent while increasing numbers of “self-proclaimed Catholics” publicly misrepresent what it means to be Catholic must change. The hesitancy and fear to clearly inform Catholics that they will lose their eternal souls if they persist in advocating, engaging in, supporting or voting for any one who supports such intrinsic evils as abortion, contraception, euthanasia, fetal stem cell research, human cloning, and homosexual marriage, has to end. So what can we simple people do about all of this? Listen to the prophets among us. Among those voices resonating in the Church today is Father Mark whose love for our Eucharistic Lord and his brother priests know no bounds. His blog, Vultus Christi, is a must read for any one who loves God and wants to take His call to personal holiness seriously. With the good Father’s indulgence, I am setting forth one of his reflections, one that I am asking everyone who may read this column to copy and give to your Bishops and priests – every Bishop and every priest in this country. Impractical and impossible goal, you say? You are right unless God wills it! The simple man writing this blog entry is convinced that there is nothing of more value that any of us can do today than to pass the following reflection on as requested. Let everyone you know on Facebook, Twitter, Google+1, other social media, and all those who visit your blog know of this request. Add a link to this post to all the other blogs you visit. Let’s see God do the impossible because one humble priest has the courage to speak the truth and we simple people responded. God is counting on you! like one buried, hidden, forgotten, and out of sight. and into the universe of souls. with the healing influence of My Eucharistic Face. My radiance is powerful and strong. invisibly but really, in space and in time. and many graces of conversion. My hidden action upon souls is wonderfully increased. 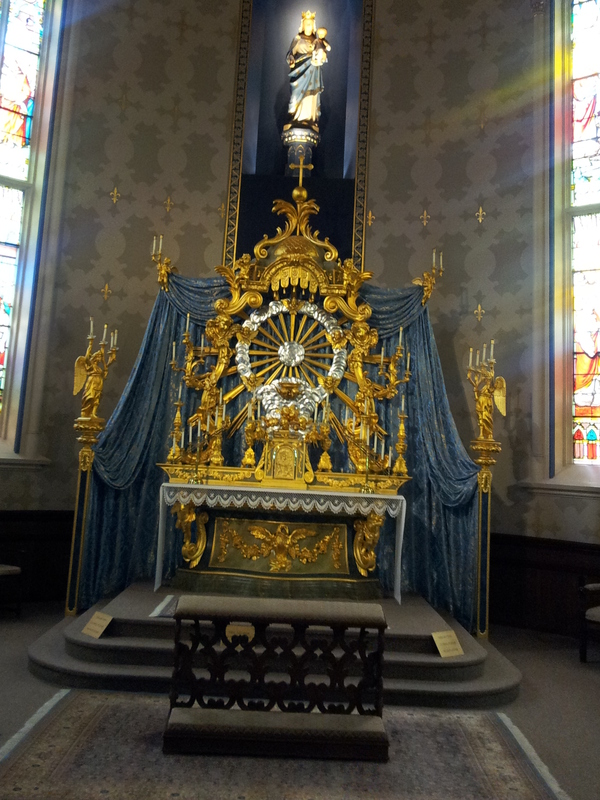 Chapels of adoration are not mere refuges for the devout. and call home those who have wandered far from Me. is intensely apostolic and supernaturally efficacious. Would that My bishops understood this! and in programs drawn-up along shortsighted human principles. from failure to failure, and from disillusionment to disillusionment. and by making use of the wisdom of this passing world. and set them over My Church. to the problems that beset My Church. in this time of spiritual combat. and for the sorrows that weigh so heavily upon My priests. nor do I act according to the principles of worldly success. I act in the silent, humble, hidden reality of My Eucharistic presence. with a spark of divine vitality and with the fire of My Eucharistic love. to love Me more generously, more fruitfully, and more joyfully. I speak to you for the sake of My priests. You will be astonished at the reception given to these words of Mine. Many souls of priests will be quickened and consoled by them. and to abide close to My pierced Heart. This is My desire for them. and, then, into the sanctuary of My open Heart. Michael Seagriff practiced law for 30 years, as a general practitioner, prosecutor, criminal defense attorney and Administrative Law Judge. His vocation as a Lay Dominican created an insatiable desire to learn, study, live and share his Faith. He has authored five books: Forgotten Truths To Set Faith Afire! – Words to Challenge, Inspire and Instruct, I Thirst For Your Love, Fleeting Glimpses of the Silly, Sentimental and Sublime, Pondering Tidbits of Truth (Volume 1) and Pondering Tidbits of Truth (Vol. 2). 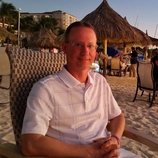 When not writing, pursing a newly discovered interest in photography, or spending time before the Blessed Sacrament, he enjoys experiencing the pleasures of this earthly life with his loving wife Lonnie, their three children, their spouses and four grandchildren. He blogs at Harvesting the Fruits of Contemplation. Here at Tomato Pie, we’re celebrating the release of my biblical historical fiction ebook “Working Mother” by celebrating the working mothers among us. Today is the feast of St. Basil the Great, patron saint of hospital administrators and other sorts who branched out into multiple fields based on where God wants him. In honor of this day, let’s meet working mother Erica Goppold! We are a family of 3, including my husband, me, and our 9 year-old son, Matthew. We also have 2 small dogs and 3 fish. I am a degreed educator and registered nurse, my husband is an electrical engineer, and Matthew is a 4th grader at a Montessori school. We keep ourselves busy with Matthew’s nearly year-round travel baseball schedule, and love to travel to different amusement parks and beaches in our “free” time. My husband often travels for his work, so it is a lot of just Matthew and I during the week. It works for us, as we are all 3 used to it. Honestly, just as when I just read this question, I literally LOL. Simply put, I am an aide in an emotional/Autistic support classroom of our local elementary school. You wouldn’t believe me if I told you what I “do” or encounter in the course of a day. Some days I am run pretty ragged by the time I get my own darling off the school bus in the afternoon….AND I am not utilizing any of my 3 college degrees to do it!! I work as support staff for right now, so I do not have the extra responsibilities that come with a professional role. I get to walk out at 3:30 and be truly done with my work for the day. I need that at this point in family life. I often am asked “how” or “why” I do the job I do. Why don’t I pursue the professional roles I have trained so hard for and work to maintain licensure in? I truly feel called to the school and job I am in. I landed in the position by chance, while I was not even looking for work (I know, some people would give their right arm for a job.) I took it, and the children just grew on me in a way I could have never imagined. I do not make a lot of money, but I can tell you the rewards are bountiful. I like to think I make a positive difference in the days of some of these children as well. I identify as more spiritual rather than religious, and I feel that something bigger than I can explain has put me where I am supposed to be right now. My son is diagnosed with Aspergers (high-funcitoning Autism) and ADHD. Through my job, I work alongside professionals in the fields of special education and various other areas of expertise, whom I learn volumes from. I take home many ideas in dealing with certain behaviors, goal-setting, driving motivation, etc. I feel empowered by what I learn and experience in a day and can apply at home. I also enjoy being surrounded by other individuals who care for and embrace these children. The love and acceptance they show, gives me hope in a sometimes harsh world that my son will be ok.
Mommy guilt is the worst kind of guilt. I miss out on volunteering in my son’s school during the day, which he reminds me of since I used to be there a lot before taking this job. Mostly, I just tell myself to shut up when it kicks in. I feel like no matter which path I choose as a mom, the guilt will find me in some way. I can be home and involved in his every move (he’s my only one–he would be hyper-focused upon), and what service does that do him? I can work, and maybe miss some school functions, but I am spreading my wings and being myself for several hours each day. The benefits outweigh the negativity for me. I wish I had support in the sense that I have friends and family who like to comment on the fact that I work despite that fact that I “do not have to.” Admittedly, our pantry would still be well-stocked and our vehicles full of gas if I did not work. However, my choice to work is a personal one, and it certainly does not bring us any undo harm. That and “mommy wars” need to stop. The grass is always greener. Whether you choose to stay home or “lean in,” we are all equal as moms caring for our children. Let us embrace each other’s’ differences and choices. This book was an answer to prayer. Rather, God provided an answer to prayer through it. 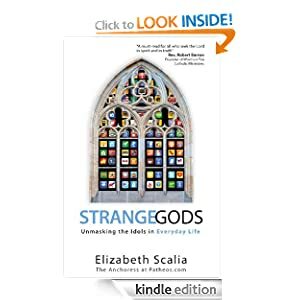 Strange Gods: Unmasking the Idols in Everyday Life by Elizabeth “The Anchoress” Scalia is a book that I picked up at the Catholic Marketing Network Trade Show back in August. I was hesitant to crack it open at first because, well, I already know I have two idols that rule way too much of my life (those being food and social media, AKA the gods of comfort and ego). I really dreaded going through the agony of finding yet more and having my nose rubbed in it, if you will. No nose rubbing, people. None. It’s more like Elizabeth Scalia stepped out of the screen, put her arm around my shoulder and said, “God loves us both so much. You keep turning away. I keep turning away. Let’s turn back towards Him together.” The tone was always one of camaraderie, never of condescension. The mood was one of hope in the face of the despair that is so easy to claim after repeated failings. The timing of my reading even ended up being fortuitous. I’m an abuse survivor, and I was going through (another) period of self-doubt of, “Am I doing the right thing, or should I just shut up and keep the peace so I can be a part of something again?” It’s taken nearly twenty years to train my heart in the face of such thoughts to wait upon the guidance of the Lord to answer such questions. You know what? He always pulls through, usually within a day or two. This time was no exception. I really don’t want to spoil anything for readers, but I’ll just say that the answer to that question was in Chapter 9. As scared as I was to read this the first time, that’s how eager I am to go back and read it again. Most of the review copies I pick up at CMN get lent out to my friends after I’ve read them. Strange Gods will not be one of those. Go get your own!